LAUNCHED! Jack and the Beanstalk 2013 - Our First Show! It's official! 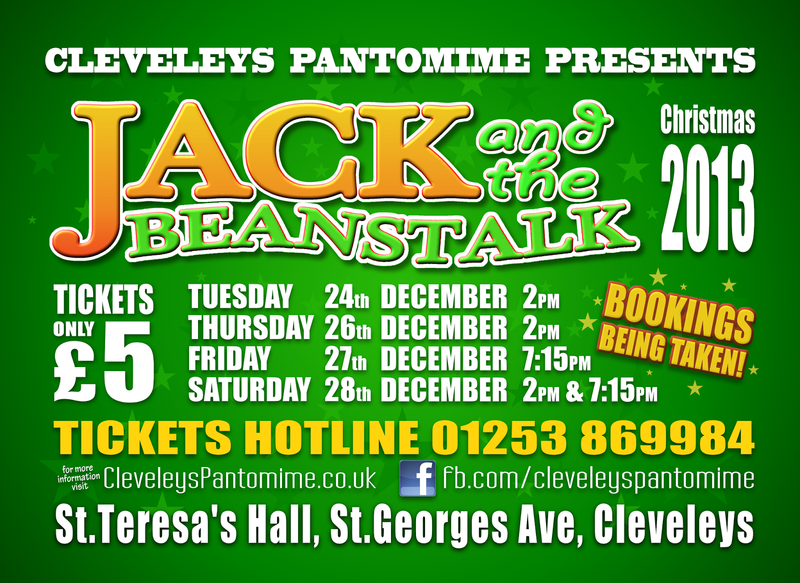 The first Christmas show of the newly formed Cleveleys Pantomime has been chosen as the children's classic 'Jack & the Beanstalk'. Tickets cost £5 and the show will be held at St.Teresa's on St.George's Ave, Cleveleys.